Miscarriage, stillbirth and the loss of a child are devastating losses because hope, promise and expectations die with the baby and people struggle for the words to understand their grief and sense of loss. The bereaved parents of angel babies are often unable to comprehend or articulate the depth of their grief and don’t know how to begin coping with the loss. Their friends and family struggle with how best to support and comfort them during their bereavement and how to help them begin their healing journey. 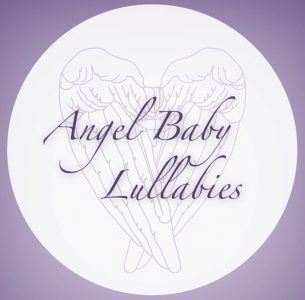 Angel Baby Lullabies was recorded to provide consolation to parents dealing with the loss of a child and is intended to open a healing space for them in which to grieve, mourn and seek peace. Angel Baby Lullabies is available from Amazon. Click here to visit. The inspiration for this album came from Susannah Pabot and her “Field of Cradles” art exhibit which she designed to bring awareness to the mothers and children who are lost to preeclampsia. Preeclampsia is one of the leading causes of stillbirth and maternal mortality in America and claims the lives of 76,000 mothers and 500,000 babies worldwide each year. Learn more about preeclampsia from the Preeclampsia Foundation. Three songs from this musical collection are used as accompaniment for her wonderful exhibit. This project is lovingly dedicated to all parents who have lost a child. It is my prayer that when you listen to this music, you will find comfort and peace in the arms of angels.